If you are thinking about going to a rehab program to get help for an alcohol or drug problem, then you are already ahead of the problem. It takes a lot of insight for a person to realize that they have an alcohol or drug problem. Therefore, if you need help for a drug problem then reaching out for guidance with your drug problem is the most logical thing a person can do if you are experiencing a problem with drugs. Drug rehab programs are designed to help people that are desiring to become free from addictive substances. They help people physically, psychologically, emotionally, and socially stabilize from the acute effects experienced by addictive substances. Choosing to attend a drug rehab program will stop the negative consequences that a person is experiencing as a result of their alcohol or drug usage. Drug addictions can cause unnecessary confusion in a person’s life which creates an increased likelihood of biological, psychological and social problems. Drug rehab programs give a person an opportunity to stop the chaos caused by addiction and allow a person to focus on solutions to their problems. Many people report that once they go to treatment, they no longer experience negative consequences caused by their addictions. When a person enters a rehab program, they begin to examine their lives and learn new ways to live without the use of addictive substances. While in addiction treatment individuals begin to focus on restoring their physical and mental health while learning how to improve relationships. Drug rehab programs help to restore balance in one’s life. When someone is in a drug rehab program, they are given an opportunity to learn how to live a more wholesome lifestyle. If you are someone that is physically addicted to a substance, then making sure the drug rehab program offers medical detoxification is very important. People that are physically dependent on a substance will need to be monitored for withdrawal symptoms. Medical detoxification that is included in a drug rehab program makes it easier for a person to stay safe as the individual stops taking the physically addictive substance. Never stop using a physically addictive substance without consulting a physician or utilizing a medical detox program. Drug rehab programs that offer medical detox will have medical doctors and nursing professionals onsite to help you detox correctly. Once a person is medically stabilized in a medical detox program, a person will enter treatment in an inpatient drug rehab program. Inpatient drug rehab programs utilize an integrated approach to the treatment of addiction. A person will develop a treatment plan that will help them focus on dealing with their substance use disorder issues. 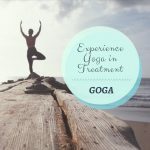 Learning to deal with psychological issues and their primary addiction problems along with any co-existing problems are addressed in this phase of treatment. 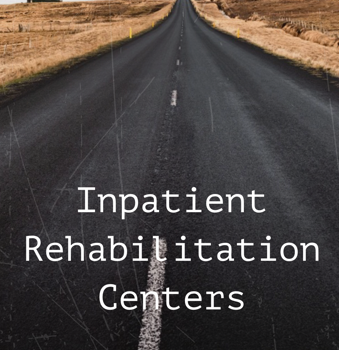 Inpatient drug rehab programs are beneficial for education, therapy, and offering clinical counseling. 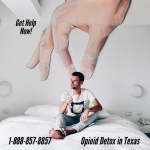 Do you need a Texas Drug Rehab now? If you need a drug rehab program, then contact Summer Sky at 1-888-857-8857 for immediate assistance for alcohol or drug treatment. Summer Sky is a Texas-based alcohol and drug rehab program that has been serving people living in Texas for over 34-years and is licensed by The Texas Department of State Health Services and accredited by The Joint Commission. Summer Sky offers medical detoxification, inpatient treatment, residential treatment, partial hospitalization programs, and intensive outpatient treatment services.